There are many ways to build links discussed around the web, there have been articles showing 101 ways to build links, 200 ways, etc. Blog ComentingThis is the best way to build links, regardless of the nofollow, you will be capable of making friends with the blogs you comment on most. 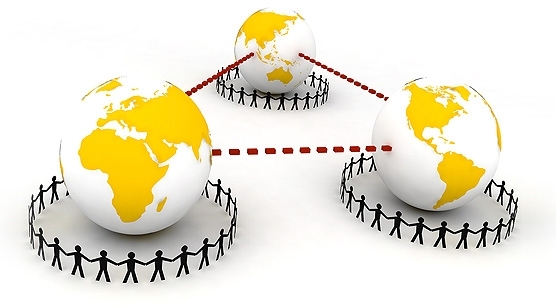 Networking on the web is the way of viral link building. Email them, LINK to them, they’ll reciprocate through time. Submit Your Blog & RSS Feed Use the Best Blog/Site Directory And RSS Submission Sites. Another list of sites to submit your Blog feed. List Your Site in Directories Use Directory Submitter, there are also services out there that will submit to 3k+ directories for less than $1,200…Crazy. Or just submit to the main directories including Yahoo, Business.com and BOTW.org : More of these directories are listed in our Web Directories section. “Parasite” Host Sites/Blogs Don’t spam, for that is far too black-hat, just make many blogs on hosts such as Blogger and give respect to your fellow readers. Trending and Tracking to find the latest and Meme-ist stories — Catch and follow the memes in order to build links based upon popular stories (Finding stories off the front page of the Social Bookmarking sites for inspiration is a great idea). PR 3.0 — Do Squidoo lenses on your topic, Start a wiki on Wikia (/start your own wiki), write Wikipedia articles related to your firm, Googlepages, Blogspot, Myspace, WordPress, Typepad blogs and Spaces.Live.com. Buy Links and Request Links — Use Text-Link-Ads, you shouldn’t get in trouble no matter how fearful Google tries to make you feel. Request text link ads and use these templates for writing the proper link requests — I HIGHLY recommend hiring a link builder from India, they are very good at following templates and getting the work done. Forum, Group Postings and Classified Ads — Write relevant and thoughtful posts on the largest forums and groups, do not spam and you will be forever rewarded with thousands+ of links. Post CraigsList, Kijiji and USFreeAds as well as ads on other classified ad sites and build links through them — Craigslist is using nofollow now and your ad will be deleted every 7 days or so, so keep on reposting if you want Craigslist link love. More to come, those are only the beginning ideas. There are so many other ways to build links and tens to hundreds of thousands of webmasters are using those same techniques. Widget creation, Facebook app utilization and other ideas are on their way for link and traffic building. Miles Price is the publisher of the iMarketingGuru Search Wiki and President of iCluck SEO Services, a Buffalo, NY based search marketing firm. Very informative approach to SEO which I am beginning to use in my web design. Social media all the way!